In the post-apocalyptic future, large parts of the world have been swallowed up by forests of poisonous fungi. The remaining humans live near the fungus and its monstrous insectoid inhabitants trying to prevent its spread. One of the human kingdoms, the peaceful Valley of Wind, is swallowed up in the machinations of its larger warmongering neighbors. 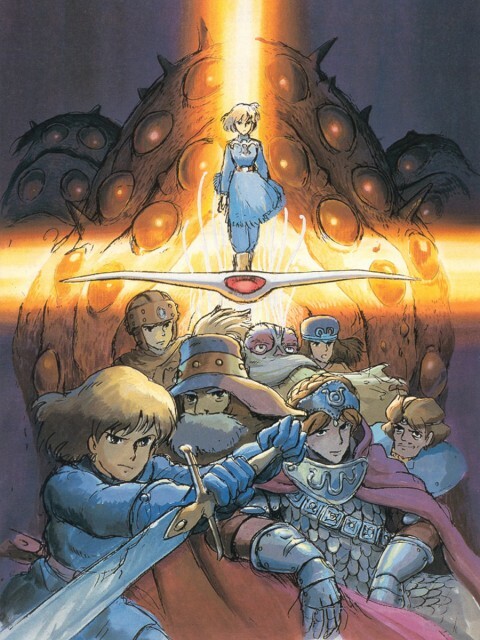 The princess of the Valley of the Wind, Nausicaa, has hidden potential and may yet change the fate of the world. This movie is one of the first works of Miyazaki and apparently, he had no idea how to create a good movie. His ideas a superb but he couldn't put them into one single material. If he re-makes Nausicaa now he would certainly create much better one, but he was not used to film production at the time. However, while being an entertainment film, this movie was able to deliver its underlying concept. Movies often have a concept to deliver besides entertainment value, and in this case, it is about the protection of nature and animals. In fact, the movie won a recommendation by the World Wide Fund for Nature (WWF, or the World Wildlife Fund, the most respected NGO for the protection of the environment). This was by far the best movie by Hayao Miyazaki I've watched. I definitely believe it's much better than Princess Mononoke as I feel the story is much more engaging with it's unique world, amazing cast of characters, themes, and mythos. Nausicaa is such a fantastic heroine and she has many great qualities that make one invested in her character. The animation is amazing and the high definition remastering of the movie shows how well the film has aged. The voice work is excellent with such amazing seiyuu like Sumi Shimamoto and Yoshiko Sakakibara in the cast as both Nausicaa and Kushana respectively. This is probably my favorite of Miyazaki's films. The first time I tried watching it, I don't know what it was, but I couldn't keep my eyes open. I complained about how boring the movie was, how much I hated the characters, I didn't understand the story...It was a bunch of things. But one day I decided to give it another chance, and I fell in love with it! I don't know what it was about, but everything just made sense, and I didn't understand how I could hate it in the first place! I really love Nausicaa's character. She is strong-willed, valiant, and brave. 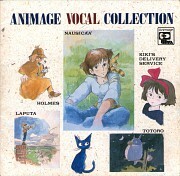 I always thought that Nausicaa was how Miyazaki really saw women. She seems to embody the strong heroine that Miyazaki loves to create. She is the only main character like this in Miyazaki's films. This movie is really good, so check it out! Of course, if you're getting that same bored feeling I was when I watched this movie at first just stop and give it a second chance later. You won't regret it. This was AWESOME!! I love how the events are based on the future of today. It makes it much easier to connect with and as aways with hayao miyazaki films, the characters have such amazing individual personalities. I'm a tree hugger so this movie really appealed to me. Bugs aren't really my favorite but i tolerated it for this wonderful movie. It's a really long movie, but its worth watching. Female heroine again!!! This movie shows the importance of keeping the earth clean and to reduce polluting. My favorite movie of all time. Amazing storyline with a great meaning behind it. I don't have much to say but that its awesome. Amazing animation. Amazing storyline. Amazing meaning. Amazing characters. Amazing director. My favorite of all of Studio Ghibli's movies. An excellent main character and a heartwarming ending. Great animation, especially for a movie made in the 80's. Great colors, too. I love the giant insects, but then again I'm weird when it comes to bugs. The flight theme in all of Miyazaki's movies is perhaps most present in this one, featuring a main character who owns not one, but two flying machines. Simply amazing.